Bleak spaces, beige food and never-ending speeches…is there anything more soul-destroying than an uninspired corporate function? We sit down with event planning team manager, Emma Barr, to get the inside scoop on throwing a work do without the don’ts. Every bit as elusive as it sounds, The Apartment is our newest and best kept secret. A former private residence atop Hotel Centennial in leafy Woollahra, The Apartment feels like your very own space, but oh-so-much better. 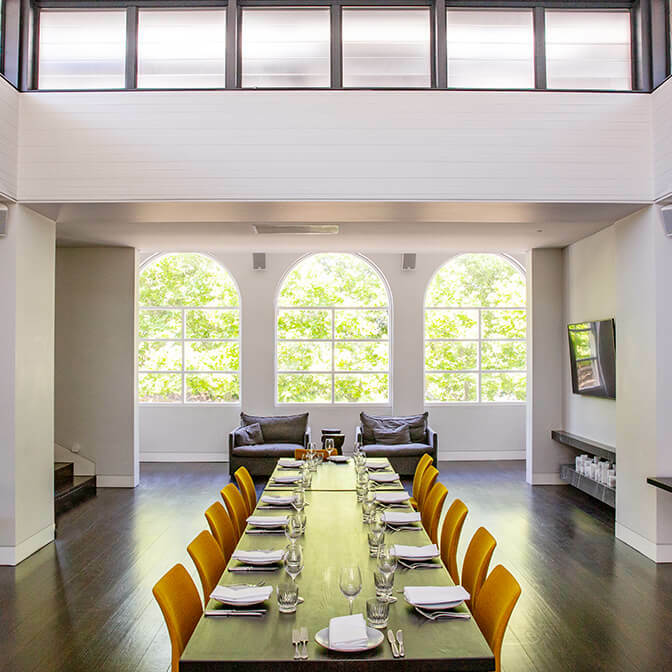 With arched windows, a private terrace overlooking Centennial Park and a hatted chef, this intimate space is designed to impress, without being too flashy. “The Apartment is great because it gets guests out of the city,” says Emma “We’ll often see groups going outside to enjoy the park throughout the day – it really feels like a day away from the office.” From lunches to launches, this exclusive venue seats up to 32 guests, with capacity for 60 theatre and 100 cocktail – and has a large boardroom plus three break-out rooms. With chef Ben Greeno curating the menu, you’ll have trouble getting guests to leave. ‘Tis the power of The (Secret) Apartment. 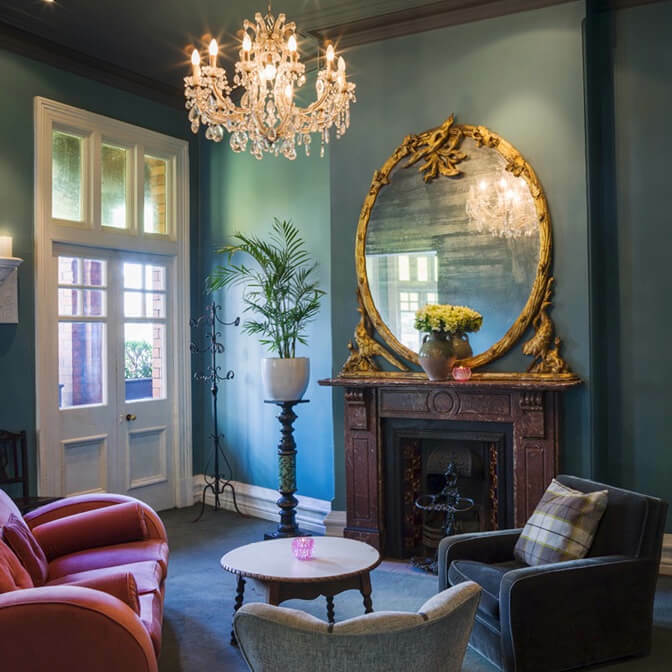 A hidden mansion style venue in the heart of the CBD? Yep, you heard right. Chances are you’ve walked past this Victorian building dozens of times, none the wiser to the whimsical wonderland tucked away on the top floor, otherwise known as House of Merivale. With quirky curiosities around every corner, House of Merivale is the one-of-a-kind venue putting the fun into functions, one nutty antique at a time. 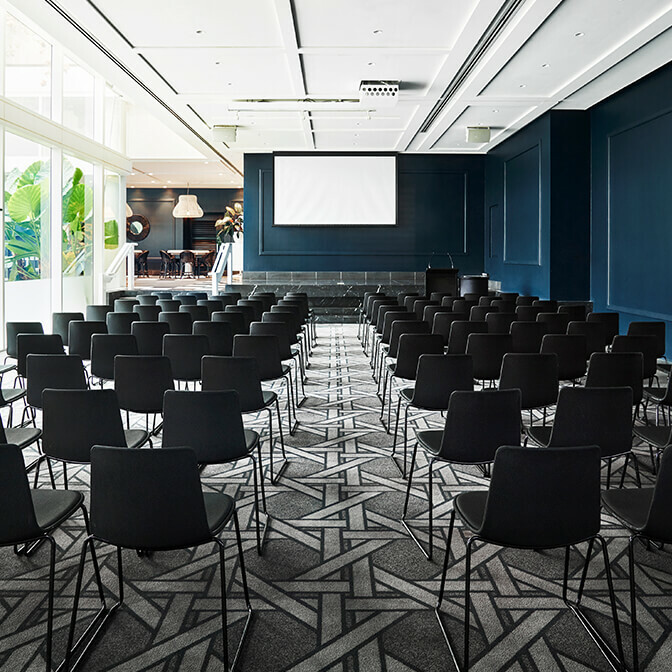 “This venue has personality plus,” says Emma “It’s miles away from a blank, standard event space.” As far as functionality goes, there’s five interconnected rooms with adjoining balconies and a spacious outdoor terrace, making it perfect for team workshops and networking events. Throw in El Loco’s fabulously fresh Mexican menu, and you’ve got yourself a party. Professionally speaking, of course. Notoriously chic, our Level 5 Penthouse overlooks Pool Club and comes complete with a custom-built bar and balcony bursting with tropical foliage. 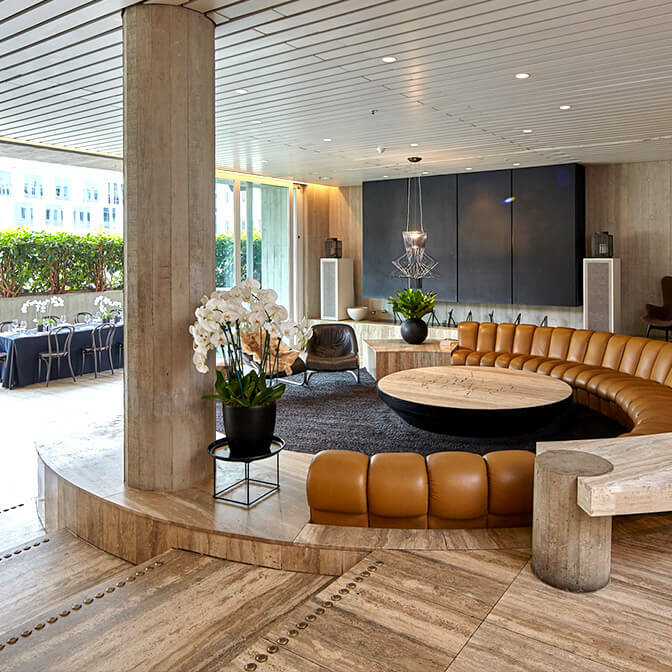 Of course, it isn’t all hot tubs and exotic shrubs – there’s room for up to 120 guests, an outdoor terrace, a boardroom table and “arguably some of the best natural light in the CBD.” Nice. “Level 5 is a premium venue with exceptional service.” says Emma, “It’s known for the types of events you don’t want to miss.” Ideal for PR launches, end-of-year parties and intimate meetings, our Penthouse is cool without being pretentious, and serious without being stuffy. You’ll have clients eating out of the palm of your hand, although they needn’t, thanks to top notch ivy food & beverage and butler style service that ticks all the boxes. 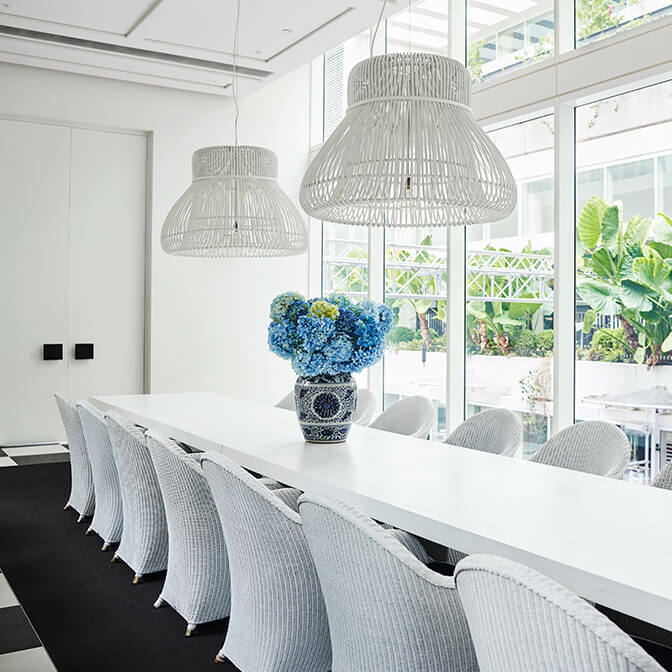 With in-house stylists and florists on hand, the Penthouse can take on whatever feel you fancy. “This space transforms brilliantly,” says Emma, “and we love a good brief” Looking to pull out all the stops? Head to Level 5. Hidden away within the iconic ivy complex, this sun-drenched space boasts floor-to-ceiling windows and a secluded rooftop terrace. The spacious interior – with room to seat up to 150 guests theatre-style – has marble features, wicker trimmings, and an opulent Hampton’s-style bar. Beauty aside, this is a corporate dream and has “everything you’d ever want in the one place”, with ample space for large-scale seminars, launches and workshops. “There’s room for guests to dash off and check their emails, rather than sneaking back to work, like they are often tempted to,” says Emma “You don’t get that mid-afternoon drop-off.” And why leave? With ivy’s food and beverage, guests can move seamlessly between business and pleasure, finishing with customised cocktails in a private, rooftop oasis. Getting down to business has never looked so good. Check it out here. Find out more about these spaces (and others) here, and start planning your next function with the help of our dedicated event team.